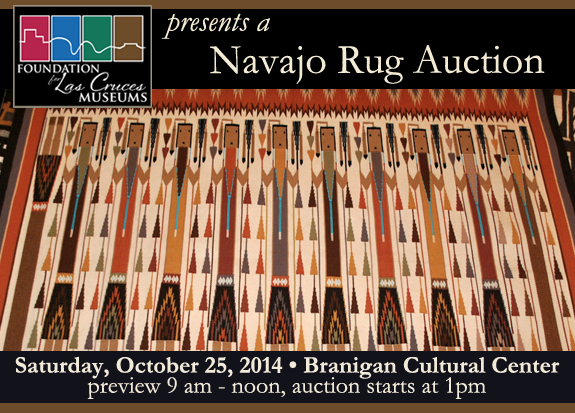 Navajo weavers will offer their work for auction at a Navajo Rug Auction on Saturday, October 25, 2014, at the Branigan Cultural Center. 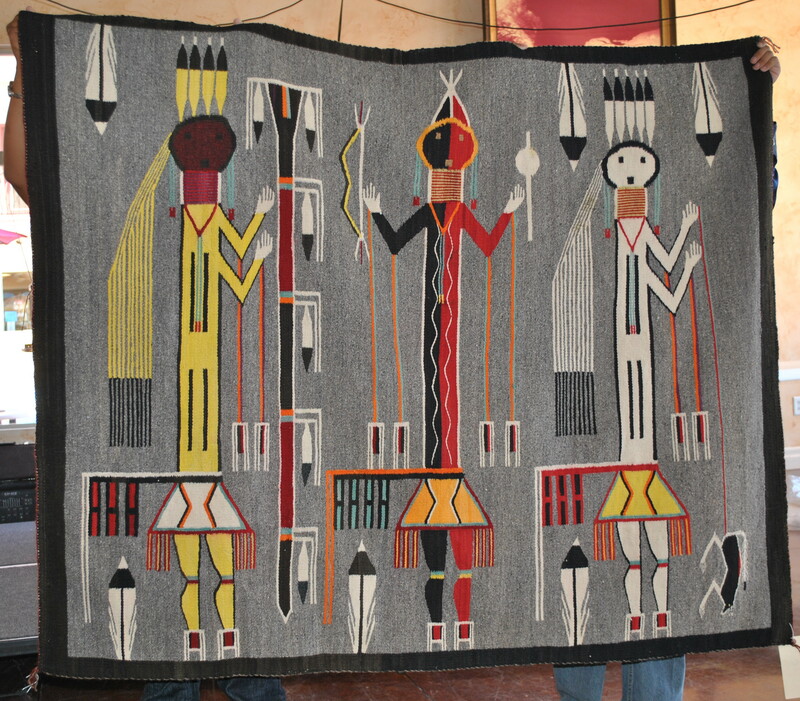 Rugs will be available for preview from 9 am through 12 am, with the auction beginning at 1pm. The Burnham family has been trading with the native people of the Four Corners area for five generations. A typical auction will feature about 300 pieces and may include vintage offerings as well as new work. More information is available on their website. Also on October 25 will be weaving demonstrations by the Spider Rock Girls, well known weavers from the Navajo Nation. Emily Malone, Rose Yazzie, and Laramie Blake are three generations of weavers from the Chinle area. Meet this extraordinary family and learn about their approach to both traditional and innovation weaving techniques and patterns. Malone, Yazzie and Blake will be present throughout the auction, from 9am through close, answering questions. They will give a special presentation for children at 11:30, in conjunction with the Museum of Art’s weekly story time. Pieces woven by some of the Spider Rock Girls will be available for sale at the auction. The auction will close the exhibit, “A Renaissance of Fiber” by the Mesilla Valley Weavers. The exhibit demonstrates how weaving has changed over the last 400 years. The Branigan Cultural Center is located at 501 North Main Street. Gallery hours are Tuesday through Saturday from 9am to 4:30pm and admission is free. For more information, contact the Branigan Cultural Center at (575) 541-2154 or visit the Center’s Facebook page or website at las-cruces.org/museums.